We are excited to announce the 1.7.2 release of ClusterControl - the only database management system you’ll ever need to take control of your open source database infrastructure. 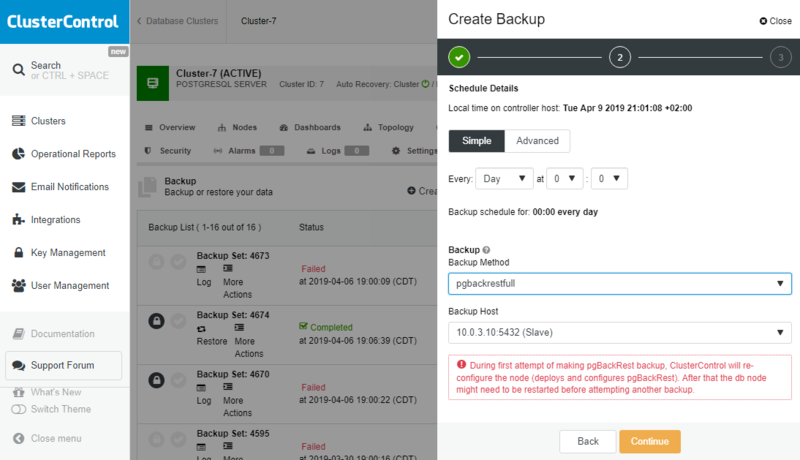 ClusterControl 1.7.2 marks the first time for supporting time-series data with TimescaleDB; strengthening our mission to provide complete life-cycle support for the best open source databases and expanding our ability to support applications like IoT, Fintech and smart technology. 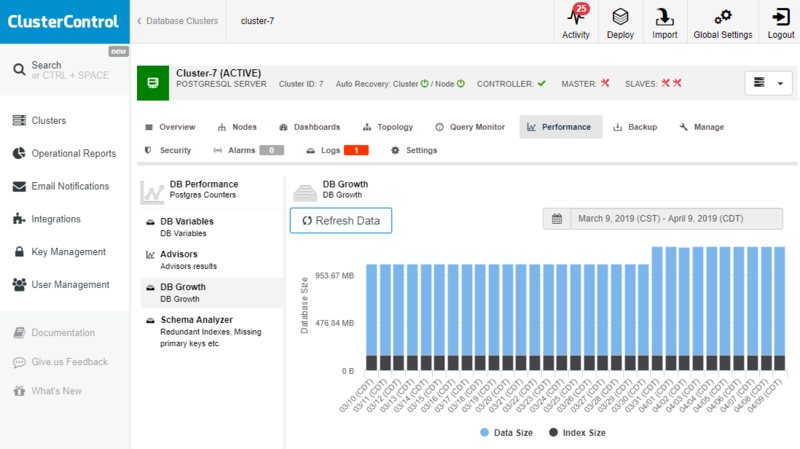 We continue to improve our support of PostgreSQL by adding new monitoring capabilities to forecast database growth as well as the integration of a top backup technology, pgBackRest, that gives you new ways to manage your PostgreSQL backups. 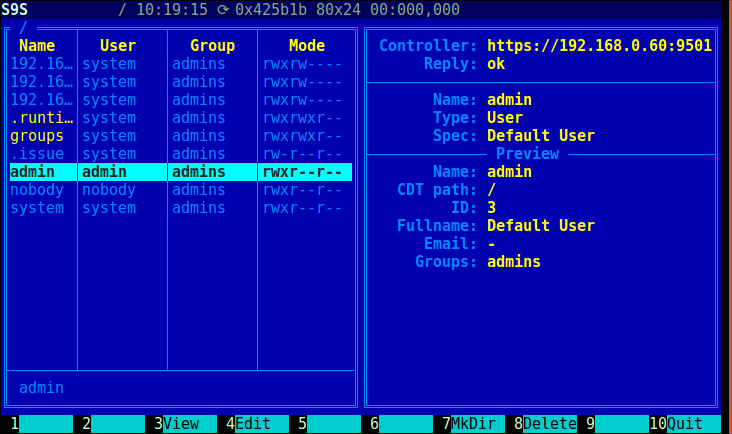 CC Spotlight allows you to quickly find and open any page in ClusterControl with a few keystrokes. 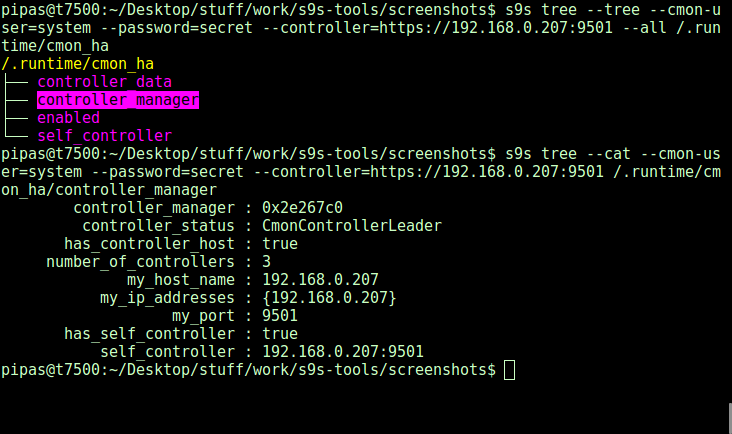 It also allows you to find individual nodes to quickly perform cluster actions on them. CMON HA enables multiple controller servers for fault tolerance. It uses a consensus protocol (raft) to keep multiple controller processes in sync. A production setup consists of a 'leader' CMON process and a set of 'followers' which share storage and state using a MySQL Galera cluster. TimescaleDB: Included in the 1.7.2 release of ClusterControl, we are proud to announce an expansion of the databases we support to include TimescaleDB, a revolutionary new time-series that leverages the stability, maturity and power of PostgreSQL. Learn more about it here. MySQL 8.0: This new and exciting 8.0 version of MySQL boasts improvements to user management, the introduction of a NoSQL storage engine, new common table expressions, Window functions, and improved spatial support. Maxscale 2.2: MariaDB Maxscale 2.2 offers full support for MariaDB 10.2, of which support was introduced in ClusterControl 1.5 as well as a variety of other improvements. MariaDB MaxScale is a database proxy that extends the high availability, scalability, and security of MariaDB Server while at the same time simplifying application development by decoupling it from underlying database infrastructure. PostgreSQL Database Growth Graph: This new graph allows you to track the dataset growth of your PostgreSQL database, letting you stay on top performance and plan for your future needs. Integration of pgBackRest: PgBackRest is among the top open source backup tools for PostgreSQL, mainly because its efficiency to cope with very large volumes of data and the extreme care its creators put into validation of backups via checksums. With it, ClusterControl users will be able to create & restore either full or incremental backups. It also allows for a new method to achieve point-in-time-recovery for PostgreSQL. This new ClusterControl navigation and search tool can help you easily navigate across both the ClusterControl features as well as your specific deployments. Just click on the search icon or hit CTRL+SPACE on your keyboard to activate Spotlight. 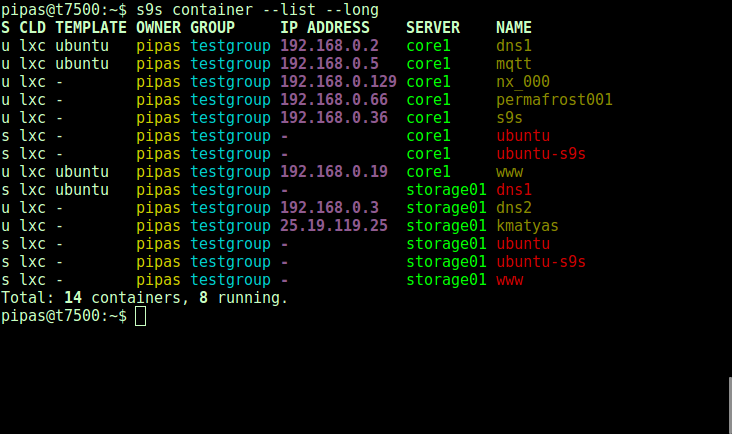 CMON HA uses a consensus protocol (raft) to provide a high availability setup with more than one cmon process. 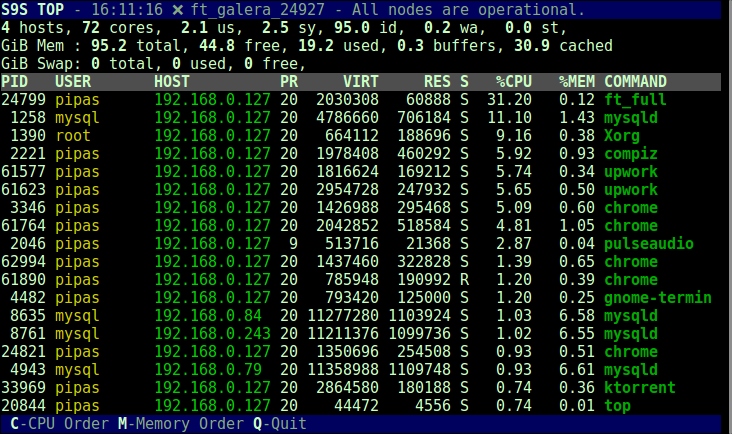 It allows you to setup a 'leader' CMON process and a set of 'followers' which share storage and state using a MySQL Galera cluster. In case of failure of the active controller, a new one is promoted to leader. This enables ClusterControl users to build highly available deployments which would be immune to network partitioning and split brain conditions. Forrest Lymburner is the VP of Marketing at Severalnines. He is responsible for developing programs to educate visitors on the value of database automation and why they should utilize products like ClusterControl to monitor and manage their database environments. With nearly twenty years in the marketing world at companies like RadioShack, Texas Instruments, Rackspace, Dell, etc; Forrest has worked in a variety of industries developing strategies and building programs to increase brand awareness and user adoption. Forrest is an avid Sci-Fan, PC Gamer, world traveler and regularly attends comic con events.